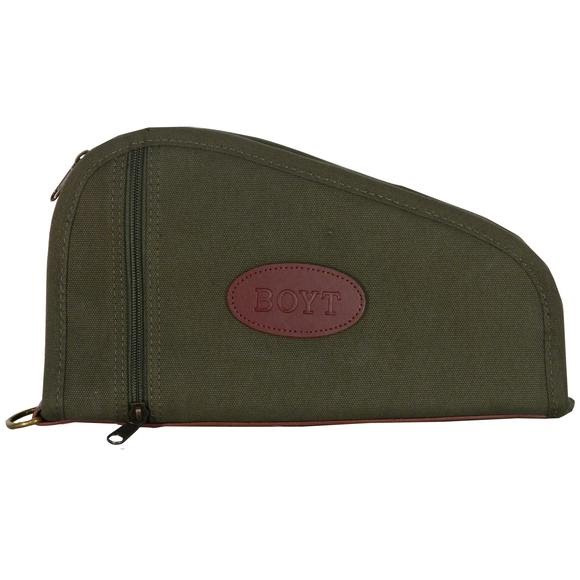 Keep your pistol protected with the 12" Pistol Case from Boyt. This durable case features heavy-duty 22 oz. canvas with dry-wax finish that repels water while resisting mildew and fading. Interior cotton batting and flannel lining cushion your handgun. Furthur technologies include a self-healing nylon coil zipper with a lockable brass pull.